Home Scandal and Gossip ‘Libertarian’ Nevada Mormon church shooter kills one, injures another- then walks home. ‘Libertarian’ Nevada Mormon church shooter kills one, injures another- then walks home. Pictured, Fallon church gunman, John Kelley O'Connor. Pictured, Fallon church gunman, John Kelley O’Connor. Why? 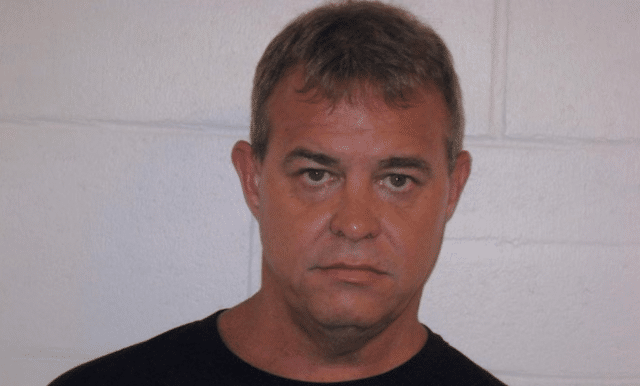 John Kelley O’Connor a former libertarian candidate for the Nevada State Assembly kills one, injures another at Mormon, Fallon church shooting. A gunman has left one person dead and injured another after walking into a Mormon church in Nevada, Sunday just on 1pm and opening gunfire. The bloodshed followed John Kelley O’Connor, 48, firing several rounds of gunfire during service at the Church of Jesus Christ of Latter-day Saints meetinghouse in Fallon, Nev. circa 1 p.m. KOLO-TV reported the service being attended by some 50 people. Following the shooting, the Mormon church gunman left the building and walked home. The Nevada Appeal reported the gunman living across the street from the church. Fox News reported police arriving at the man’s home and asking him to surrender, which he did. Told Fallon Police Chief Kevin Gehman, ‘It’s really too early to understand the motive’. It is thought the gunman non-specifically targeting members as he directed gunfire at attending church members. Nevertheless one person was fatally shot, with conjecture as to whether they had been specifically been targeted. Another churchgoer was injured, suffered a non life threatening gunshot wound to the leg. Of note, the shooter is a member of the church and had attended services earlier that morning before returning with a weapon, described as a mid-size caliber hand-gun. 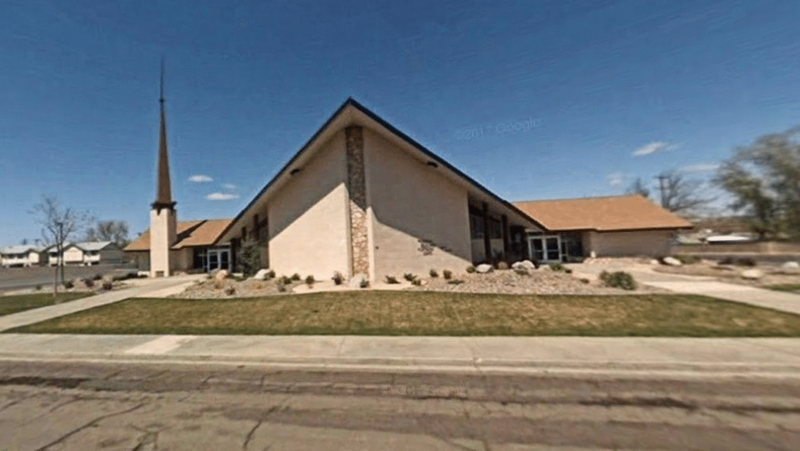 Pictured the Fallon, Nevada, Church of Jesus Christ of Latter-day Saints, where John Kelley O’Connor shot his victims. John Kelley O’Connor former libertarian candidate: Political fall-out? Adding further intrigue, media reports told of O’Connor being a former libertarian candidate for the Nevada State Assembly. State records revealed that O’Connor ran for the Nevada State Assembly for the Libertarian Party in 2014. The city of Fallon, the seat of Churchill County, is located about 60 miles east of Reno. Got a text from my in-laws in Fallon. “Primary had just finished singing when I heard a pop and another pop, I looked and there was someone shooting in the church.” Thankfully they’re ok and this will probably barely register on the national news, but why is this seen as normal?